Here are 10 strategies banks and credit unions can use to deliver a better digital experience, gain market share, lower costs and increase revenues in 2017. With digital banking platforms now in place for the majority of banks and credit unions worldwide, 2017 will be a year to enhance the delivery of key services and improve the customer experience across channels. The digital banking choices available will expand greatly in the coming year, with the risk of not keeping up with consumer expectations increasing. 1. Improving Digital UX. There will be a shift from digital quantity to digital quality, as it applies to improving the aesthetics and simplicity of existing digital offerings. 2. Improving Digital Onboarding. While digital capabilities overall have improved, the ability to sell and onboard consumers on digital channels has lagged. 3. Improving Response to New Technologies. Organizations will need to be prepared to deliver an improved customer experience across new devices using new data insight capabilities. The ability to leverage Open APIs, AI and IoT are all part of this equation. Mapa emphasizes that breaking down internal silos between channel teams, product teams, experience (CX) teams and technology teams is the foundation of building a better digital customer experience. These challenges are obviously greater for legacy banking organizations than they are for start-up fintech firms. When determining how best to improve the digital banking experience for consumers in 2017, Mapa used their proprietary portfolio of real bank accounts to track design and functionality trends. Their 49-page report includes dozens of screenshots and case studies to support their findings. According to Mapa’s review of digital banking apps worldwide, the past several years has been a period when legacy financial institutions worldwide have been adding functionality to online and mobile apps. The result has been the emergence of function-heavy platforms at the expense of clean design and ease of use. 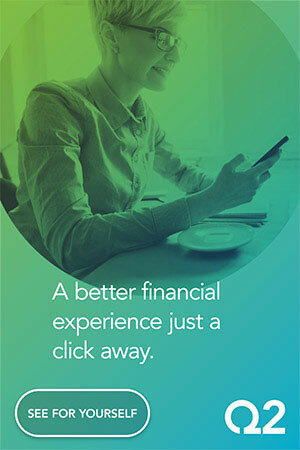 This is especially true with mobile banking apps. There are three options available to financial institutions to resolve the design issues across digital apps. The banking industry needs to move beyond finding the optimal channel mix to determining what works best for each individual customer. This has been referred to an an optichannel™ experience (finding the optimum channel for each customer for each engagement. It is also about a seamless integration between touch points. Unfortunately, very few (if any) organizations have the ability to support the initiating of a journey on one channel and the completion on another, according to Mapa. This becomes especially apparent during the onboarding stage of engagement at banks and credit unions. The new customer onboarding experience begins with the application for a new account/service and continues until the customer is highly engaged with this this relationship. While most institutions have some level of the application process digitized, the vast majority require some level of engagement with physical channels. This is especially true with mobile application processes. It is becoming less and less acceptable, from the consumer perspective, to have “broken processes.” The consumer expects ease of completion (including auto fill of data already on file), and the ability to utilize security, authentication and digital documentation capabilities that will simplify the entire process. Mapa provides several global examples in their report, including video identification options at Fidor and N26. As the masses move from physical to digital channels, so do many face-to-face sales opportunities that used to occur at the teller window or manager’s desk. Most banks and credit unions have had a difficult time replicating this experience on the online (and especially mobile) channel. Delivering a personalized product sales message, and making it possible for prospects and customers to purchase on a digital channel becomes an important priority … specifically since mobile access greatly exceeds previous visits to the branch. In Mapa’s research, they highly suggest a more contextual strategy for sales, moving beyond simply ‘pushing product’ on devices to integrating the selling of services within PFM tools or as part of customized advisory process. In other words … needs-based selling made possible by advanced analytics. The delivery and utilization of Personal Financial Management (PFM) tools have usually under performed expectations. Beyond great graphic representations of financial positions, few PFM solutions have delivered the level of trusted advice available in person. The potential for combining account aggregation, advanced data analytics and improved recommendation and application engines can result in a value-added service that is both helpful and easy to use for the consumer. With new regulations and strategies around open banking APIs, the move toward advanced selling will soon take center stage. The banking industry has been discussing the need to remove internal data silos for at least 40 years in banking … to no avail. At many organizations, the ability to get a 360° view of the customer is difficult at best, making the ability to provide personalized solutions close to impossible. This makes most communication with the customer product-based vs. customer-based. This silo-based structure makes it difficult for most organizations to help customers optimize their checking and savings balances or provide informed debt reduction strategies. The customer doesn’t view their banking relationship with individual product distinctions – neither should their bank or credit union. To serve the digital consumer, financial institutions will need to move beyond FAQs to chatbots and interactive content (especially video). Both of these technologies, when used in conjunction with advanced intelligence (AI) and machine learning, will improve the delivery of service while lowering costs. Beyond chatbots, the integration of voice banking may be one of the most exciting growth areas for an improved customer experience. PayPal, Capital One, Moven and others are quickly combining IoT technology with both transactional capabilities and customer service. According to Ward, “[Open banking] is a fantastic opportunity for banks to integrate better with a broad range of financial and non-financial services to allow customers to create a network of tools that help them reach their financial objectives.” Related to an enhanced PFM, future banking platforms will combine insights from multiple financial organizations. 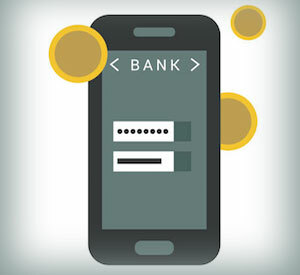 Open banking also allows for a bank to be at the center of a consumer’s entire lifestyle. “It’s about creating an open ecosystem, where consumers can decide what services they link together – and these services do not need to be financial,” the report states. The new wave of advanced analytics and digital devices will forever change the way consumers bank. This new combination of AI and IoT may not only eliminate the need for online banking, but smartphone banking as well. The result is the ability to make consumers. lives easier. We are already seeing the ability to bank at Capital One and Moven with an Alexa device from Amazon. We also are beginning to see the ability to conduct basic banking by voice while driving a car. As technology continues to advance, will there be a time when we can conduct all of our banking (and get advice) by speaking or through simple VR engagement? As more objects and devices in the home get connected to the Internet, the potential for an improved customer experience is endless. The need to organize around the customer can’t be overstated. This has been the talk in the industry for decades – but the competitive cost of not doing so in the Digital Age is enormous. All internal forces must be focused on delivering the best experience outcome for the consumer. This is a dramatic shift for an industry that has been almost entirely focused on cost reductions since 2008. If done well, the outcome of delivering the best possible digital experience for the consumer will not only be a reduction in costs, but an improvement in revenues. This is the “experience gap” that fintech firms have been filling for the past several years. Mostly on a limited breadth of services, start-ups use data, analytics, digital technology and agility to deliver what the consumer is asking for. “To handle the uncertainty of the future, banks need to make sure that they future-proof, both in terms of digital proposition and organizational structure,” states the Mapa report. The Mapa Research Insight Series Report, “10 Things Digital Teams Should Be Doing in 2017,” features 49 pages of behind-the-login screenshots and user journeys from live accounts globally, along with expert analysis of each digital banking strategy. The report is available for purchase or is included as part of a subscription to the Mapa Insight Series. More information is available here.